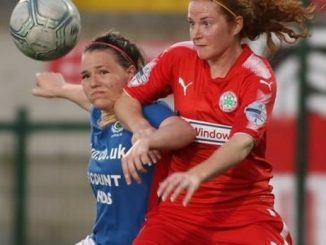 Cliftonville’s 2-2 draw at Sion Swifts on Wednesday left the Reds eight points behind NIFL Danske Bank Women’s Premiership leaders Linfield, now with just a single game in hand. Cliftonville did well to get a point, having trailed 2-0 and losing Amber Dempster who was stretchered off. 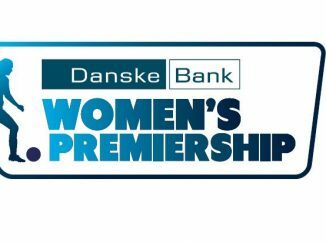 Aimee Mackin and Chloe McGlade scored second-half goals for the Swifts, Billie Simpson got one back with an outrageous strike from inside her own half which caught Niamh Mailey off her line, then Marissa Callaghan equalised. Armour took only 5 minutes to make it one nil but Derry were denied a leveller when a dipping Caoimhe Walsh free kick came back off the crossbar. Armour scored twice in a dozen minutes straddling the interval, her hat-trick goal coming when she rounded goalkeeper Molly McBride, the scoring then rounded off with her fourth on 61 minutes. 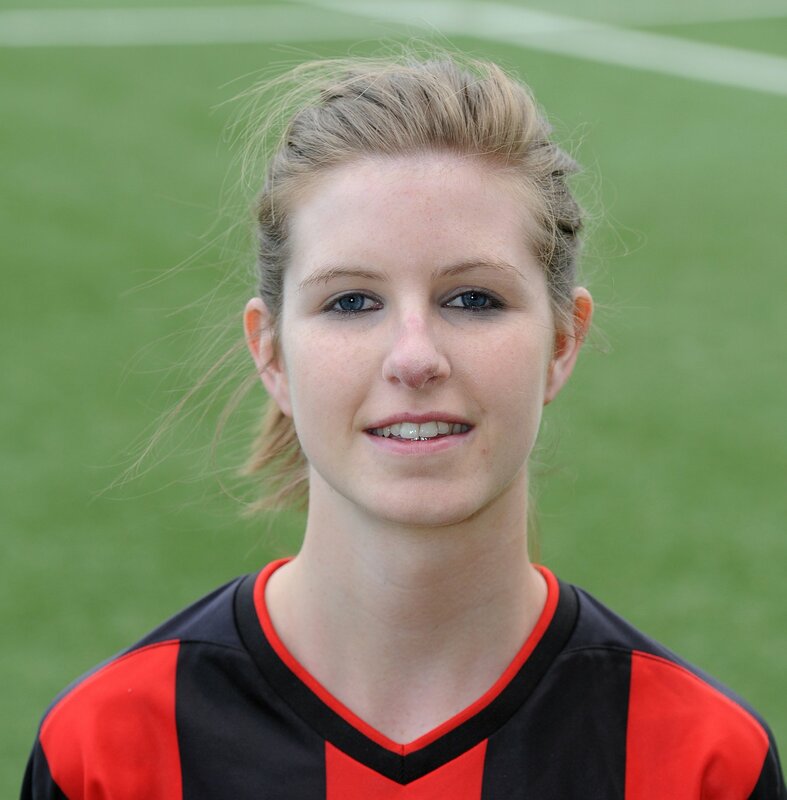 Four goals also for Carah Milligan, as Glentoran climbed to fourth place when thrashing basement side Portadown 11-0. 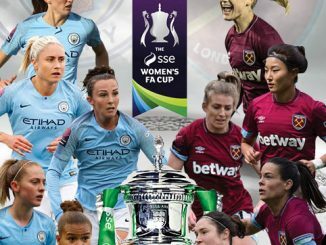 Milligan netted either side of Makyla Mulholland’s goal, with Kelly Bailie and Nadene Caldwell then finding the target, before Milligan completed her hat-trick to make it 6-0 by half-time. 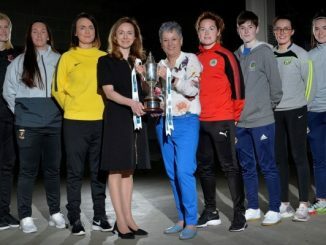 The remaining five goals came in the last quarter of the match, Milligan with the first of those, while Alison McMaster, Samantha Kelly and Jessica Foy got on the scoresheet and Caldwell doubled her tally.